Guess what? It’s that time of year when Princess announces our 2019 programs, and this one opens for bookings November 8! 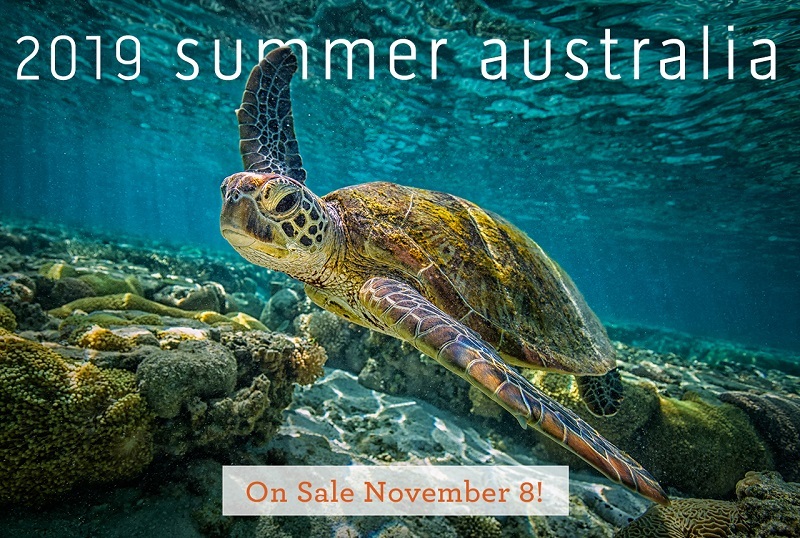 Sea Princess® is going to be celebrating her 12th season of the Australia-based World Cruise. 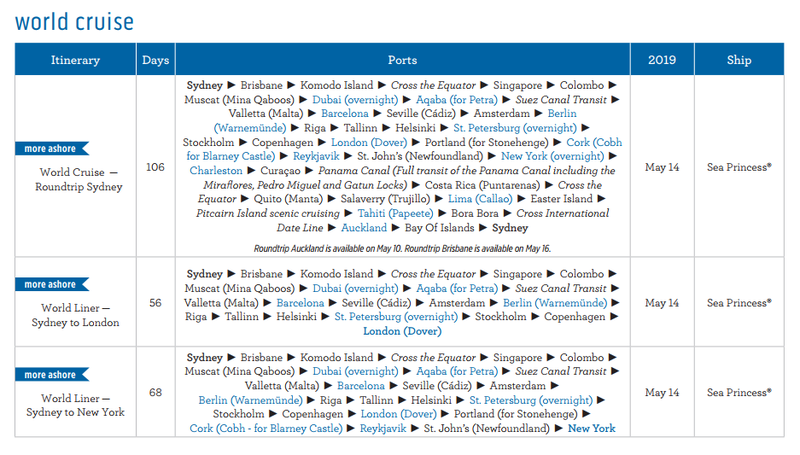 Sea Princess® celebrates the 12th season of the Australia-based World Cruise, with a 106-day itinerary, visiting 32 countries with 39 ports of call, including a maiden port of call on Portland, U.K.
for access to Stonehenge. And with four World Cruise segments starting in Sydney, Dubai, London and New York, guests have the flexibility to build their own vacation. Hawaii, Tahiti & South Pacific: Explore the South Pacific on our 35-day Hawaii, Tahiti & South Pacific cruise, sailing from Sydney, Auckland or Brisbane. With ports of calls to four Hawaiian islands, French Polynesia, Fiji and Samoa, guests will catch the Aloha Spirit and experience the legendary hospitality of the islands of this region. UNESCO World Heritage Sites: Experience some of the world’s most iconic treasures, stunning natural wonders and historic cities on your adventure with Princess. See the awe-inspiring Stonehenge, historic St. Petersburg or the breathtaking stone moai of Easter Island on the World Cuise. With our More Ashore port calls, guests can explore exciting destinations by day and by night with ample time to experience local culture, cuisine and attractions. 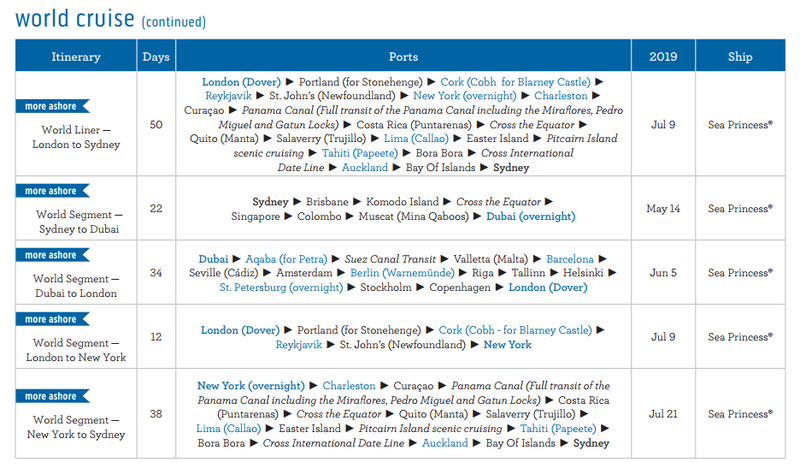 All ports shown in blue below are More Ashore Late Night calls (9 p.m. or later departures), unless noted as an Overnight. SUBMIT YOUR QUOTE FORMS TODAY SO WE CAN HOLD YOUR CABIN AND SEND YOU A QUOTE!